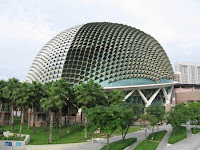 Just received an email from someone working for the Esplanade. 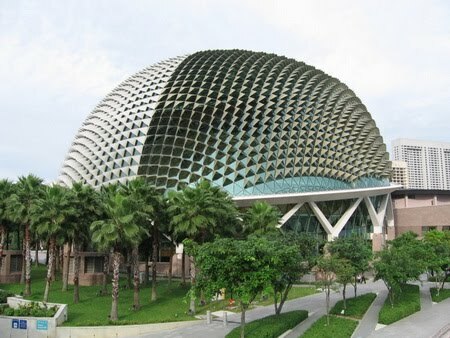 In conjunction with National Day, the Esplanade will be holding a national poetry exhibition in August. Selected works by Singaporean poets will be exhibited at different areas throughout the Esplanade building. The Esplanade wrote to ask for my permission to use a poem of mine - it's entitled Construction. I said okay. I feel somewhat happy for this poem. 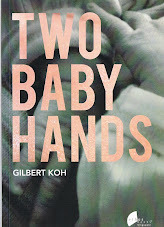 The Quarterly Literary Review Singapore previously published this poem and it also appears in my book Two Baby Hands. But apart from that, Construction has not received much airplay or attention.